Jason Sidwell has been a professional musician for over twenty five years. 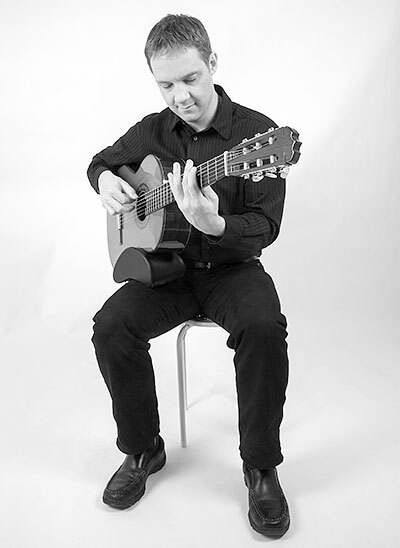 He has an ALCM diploma in classical guitar and two music degrees: BA Hons and an MA in popular music studies. Since 1998, he has been senior tuition editor on Total Guitar, Guitar Techniques and Guitarist magazines, interviewing numerous revered musicians and writing/editing thousands of guitar tutorials across all styles. This makes him one of the most experienced and respected professional guitarists in the UK. Jason has been an examiner for RGT/LCM guitar and bass grade exams, an advisor/tutor for several music academies in the UK, written extensive guitar tutorials for The Guardian and Observer newspapers, and is a long serving director/tutor for the International Guitar Foundation (IGF). A published author, Jason has written guitar tuition books and produced and presented DVDs for notable publishers such as Dorling Kindersley. Jason plays many styles of guitar in various capacities (solo, rock/pop bands, instrumental projects, touring shows, music festivals) throughout the UK and abroad (Europe, Middle East, Hong Kong, USA). 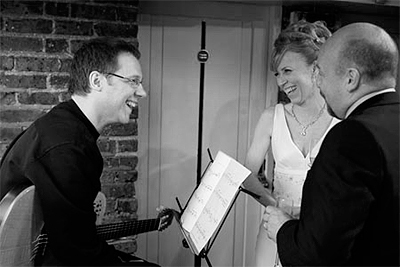 He has been working with singer, Tracey Kelly, in a pop jazz duo since 2009; their recent single has received outstanding reviews and national radio play (BBC Radio 2). As a solo guitarist, he has played at numerous venues including Claridges Hotel, The Dorchester, Grosvenor House, Sloane Street By Gordon Ramsay, Soho House, Hilton Hotels, Warwick Castle, Glastonbury Abbey, Pizza Express and Berkeley Castle. Contact him today to provide your unique day with an outstanding guitar performance – simply click the contact link in the menu at the top right of the website.